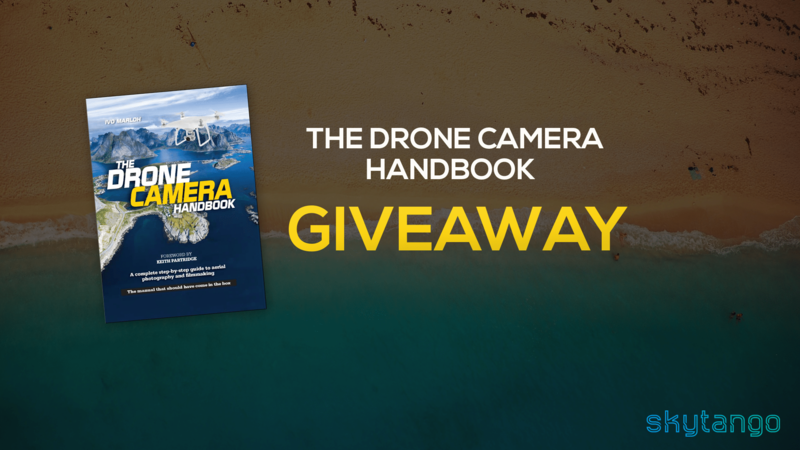 We are giving away the complete step-by-step guide to aerial photography and filmmaking, The Drone Camera Handbook! Ivo Marloh wrote a couple of short films before going on to do an MA in screenwriting and more recently authoring The Drone Camera Handbook. Ivo’s other writing credits include the films Magic Boys (2012) starring Michael Madsen and Vinnie Jones, as well as the multi-award-winning sci-fi thriller Cycle (2013) and an original drama series for a major US network (2014). The editor of the book is Michael J. Sanderson of Ateles Films, who is one of the Netherlands’ top wildlife filmmakers. Starting his career in Bristol on the award-winning BBC series “Smalltalk Diaries”, he went on to produce a film about Wolves in Chernobyl. Most recently Michael is known for doing cinematography and drone operation work for BBC’s Planet Earth II. Camera drones have changed filmmaking and photography forever. The Drone Camera Handbook is ‘the manual that should have come in the box’ for all drone enthusiasts, photographers, and filmmakers as well as extreme sports men and women who want to capture epic images of their adventures. We will use a random generator to select one winner and will announce that winner on Thursday, June 15, 2017. The winner will be contacted by the email address they have provided on the competition page. As a bonus, you can also earn extra entries by using Twitter, Facebook, and more via links provided. Check the box below to participate and good luck!